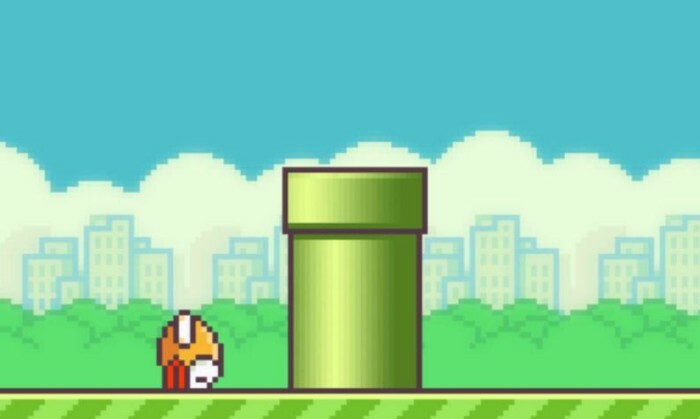 What can marketers learn from Flappy Bird? It has garnered over 50 million downloads and reportedly pulled over $50,000 of ad revenues daily from its two-line banner. So the biggest question is who turns their back on the world’s most downloaded game in recent memory? Flappy Bird was a surprise smash hit in the competitive mobile phone game market, and even surprising was why its creator Dong Nguyen yanked it out from iOS and Android last week at the height of its whirlwind success. Nguyen could either be an indie game maker overrun by success or a marketing whiz kid who have succeeded in generating global buzz from what most say is a completely pointless, albeit addicting, game. “Everyone will buy that new game, making [Nguyen] even richer, because of the fear that he’ll delete that game,” Scoble wrote on Facebook. In fact, if you have Flappy Bird on your mobile device right now, you can still see that Nguyen is still making money from the in-game advertisements. And even though Flappy Birds can no longer be downloaded via legitimate means, a simple Google search could prove otherwise. Regardless if it was all just a marketing stunt, Flappy Bird teaches us how to handle and plan success and about viral power. Most mobile devices now boast processing power that are getting pretty close to our laptops. The upgrade opens opportunities to try out more graphically-intensive apps and complex websites but Tony Ahn, chief digital architect at hybrid PR agency Tony Ahn & Co says that Flappy Bird proves that simplicity works. “You don’t necessarily need really slick graphics or an award winning musical score, unless the concept is designed specifically to showcase those things,” Ahn shares with Marketing. Controlling a tiny bird through a difficult obstacle course of metal pipes is not exactly sophisticated, but its difficulty was, ironically, its strongest selling point, says Mike Ng, R&D Director at NuWorks Interactive Labs, a local digital agency also involved in mobile app development. In a marketing industry that has long relied on strategies like empowerment, tongue-in-cheek and fun, Flappy Bird shows that brands can also engage people by challenging them rather than just making them happy. “It is simple, straightforward and has dumbproof game mechanics. But it pinches a nerve – people want to take on an impossible challenge to measure one’s capabilities and of course to measure it against their peers,” Ng says. Until recently, Flappy Bird made sharing your exquisite frustration in Twitter, Facebook or through SMS very simple with the share button (it was later later replaced by a Rank button sometime in early February). The hashtag #flapflap, which was programed to the share button, is a great barometer how Twitter helped Flappy Birds soar. It also reveals how Flappy Bird, like all viral hits, eventually fade. 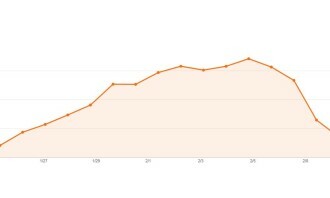 Consider this updated chart from Topsy, which tracks the popularity of words on Twitter. It shows how the game’s popularity picked up in January and rapidly deteriorated after Nguyen announced the imminent death of the game. Ng also owes the success of Flappy Bird to its similarity with another mobile game called Angry Birds, another smash hit which received similar success. Difference is, Finish game developer Rovio transformed it into a household name globally. It appeared not to be fazed by the lime light, but instead thrived, expanding the franchise way out from its game roots. If Nguyen was indeed truthful about his overnight popularity (not to mention, notoriety with some frustrated gamers) kicking him way out of his comfort zone, does this mean business success is something one needs to prepare for? “I think this was a case of “He didn’t plan to fail, he failed to plan,” not realizing that such a simple creation could take off, and further not realizing that when the Internet takes an interest in you, it is intrusive,” Ahn said. “He said it was ruining his “simple life,” which is another allusion to mental harmony being his ultimate priority. I hope he gets what he wants, and I hope we learn more about Dong Nguyen. I for one want to know more about the guy behind the Flappy Bird,” he adds. What if your mobile game or marketing campaign is the next Flappy Bird? Would you be ready? Your opinion is very much welcome below. Edelman's data shows that trust in business remains flat n Hong Kong, ranking as the least trusted institution this year. .. The survey finds 50% of Chinese Gen Z luxury shoppers spent more than RMB 50,000 last year, compared to only 32% for millennials a..
LBC Express and Arena created an interactive LED billboard where Filipinos can greet their loved ones and be seen in the busiest t..
Would you dare to send a rap back to an unhappy customer?..